This spring, 26% of all credit hours in the system are delivered virtually. Andrea Atwood always intended to go to college, but life kept getting in the way. After high school, she found herself putting off college for a job, then came marriage and kids and a string of low-wage jobs at coffee shops or retail stores. 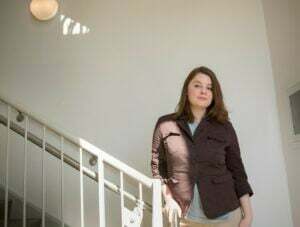 Atwood, a Cape Elizabeth resident, took a few college courses here and there, but found herself in “a kind of limbo.” Should she study business? Nursing? How could she find the time? Then she heard about YourPace, a flat-rate online program at the University of Maine at Presque Isle. For $1,000 per eight-week session, she could take as many units as she could handle. Atwood is one of the many students tapping into the burgeoning online higher education market – and swelling the rolls in online courses offered through the University of Maine System. As of this spring, 26 percent of all credit hours at UMS are delivered online. At UMaine Augusta, 74 percent of all credit hours are delivered through online courses. In the last 10 years, UMS has had a 45 percent increase in credit hours delivered online, and system officials are expanding the number and availability of courses online every year. Online education is seen as a priority in Maine, where there are widespread workforce shortages, a large percentage of adults with college credits but no degree and shrinking demographics that are eroding traditional college student enrollment figures. Students have embraced the change, if you count the clicks: Since 2010, credit hours delivered in UMS classrooms have declined 34 percent, while credit hours delivered online have increased 34 percent. Overall credit hours during that same period are down 6.2 percent, which at today’s tuition rate represents about $5.5 million in unrealized tuition revenue, adding to the system’s need to expand academic offerings to new audiences. Historically, online education traces its roots back to correspondence courses sent through the mail. With the dawn of the internet and sophisticated online tools, online education has boomed. The University of Phoenix, Western Governors University and Southern New Hampshire University have an oversize share of the online market, but most public universities are offering online programs to stay competitive. To compete, UMS recently signed a 10-year contract with a private company, Academic Partnerships of Dallas, Texas, to help the system develop its online education portfolio. The university doesn’t pay anything out of pocket and Academic Partnerships is expected to spend up to $4 million helping professors create online versions of their class, marketing and recruiting students, and supporting students once they’re enrolled – in exchange for a 50-50 split on all tuition revenue. Nationwide, there are a growing number of these online program management companies, known was OPMs, working with public and private higher education institutions looking to tap into new markets but lacking the expertise to launch full-blown online academic programs on their own. The UMS will launch the first six online programs in fall 2019 that were developed through Academic Partnerships, officials said. System officials say they expect that over the course of the 10-year contract with Academic Partnerships, the two parties will split an estimated $14 million in tuition revenue. Online education opportunities in Maine are particularly important as the state has fewer young people, which leads to fewer high school graduates and not enough people to fill workforce demands. Multiple industries report workforce shortages, or a pending crisis because so many workers are close to retiring. At the same time, 42 percent of Maine adults do not have a college degree, which is increasingly needed for any job. Atwood, who graduated last December, said her YourPace online degree led to a full-time staff job at University of Southern Maine. And she’s been accepted into an online graduate program in leadership studies at USM. “I was thrilled with it all, it was affordable and it was attainable and it was a good fit with my situation,” she said. Tuition for UMPI’s YourPace online program is about half the in-state tuition rate, but regular online programs at other campuses charge the same in-state tuition whether the course is delivered online or in person. For out-of-state students – who pay about three times more in tuition than residents – online tuition is 125 percent of in-state tuition, a significant discount. Today’s technology helps bridge that gap – and is a far cry from when he used to record his classroom lectures and then post them online. Not all distance learning looks the same, and as technology evolves the classroom experience in so-called distance learning is changing rapidly. A few years ago, distance learning could be something as basic as a Fort Kent student going to a classroom on campus to videoconference into a USM class. In other cases, it was downloading or accessing a pre-recorded lecture. More sophisticated online courses have all participants logging in and participating in a real-time virtual classroom with a professor and fellow students. The screens show multiple boxes – video of multiple participants – and instructors and students can take over the main screen display to show their work. Students can click a box to virtually raise their hand or communicate in chat boxes. Other online courses are asynchronous, allowing students to log on at any time, watching videos or running through multiple lessons in one sitting. That appeals for some students, but the move away from face-to-face has been met with hesitation by some professors and institutions who say that no matter how sophisticated online education becomes, there is an intangible value to in-person education. Nationally, 32 percent of students at public two-year and four-year institutions have taken at least some online courses. But many small, liberal arts colleges that built their reputations on small classroom sizes and direct interactions with professors are not moving aggressively into the online market. Some of that hesitation, for both students and professors, is likely due to inexperience. “I do think if you haven’t taken or taught an online class, it is very hard to imagine how it works,” said USM Provost Jeannine Uzzi, who was an early adopter in developing and teaching online courses. Within the UMaine System, the campuses vary widely in what percentage of credit hours are delivered online. Augusta is the highest at 74 percent, and several smaller campuses also have high percentages: 49 percent at Fort Kent; 46 percent at Machias and 35 percent at Presque Isle. The flagship in Orono is at 15 percent, USM is at 25 percent and Farmington is at 4 percent. But the size of a physical campus has little to do with online programs. Southern New Hampshire University has 3,000 on-campus students and over 90,000 online students. Uzzi said USM is focusing on growing online graduate programs. David Falls, originally from Old Town, said he got an associate degree in civil engineering after he graduated from high school but bounced around various jobs – some construction, some insurance – afterwards. “I knew I wanted to go back to school but I didn’t see a way to do it that was cost-effective or time-effective. I was never going to stop working, so it would have been a lot of after-work classes, or night classes,” Falls said. Like Atwood, he heard about the UMPI online program, and enrolled. At the time, he was 27 years old and living in Montana. In less than two years, he got his Bachelor of Science degree in business administration. A few months later, he moved back to Maine, looking for a job in health care. Today, he’s working for the state’s Department of Health and Human Services. “I think the degree made me a little more marketable,” Falls said.